Price comparisons on rental cars in the town of Llíria, region Valencia, Spain online. Search and book a car hire in three easy steps. When you look for, and book a car with us, there will be no problems when you pick up the car on arrival. The price includes free mileage, obligatory insurances and airport fees, local taxes and fees. Autospain.co.uk can help you search for rental cars. Cheap car hire in Llíria - Compare prices before you book! Compare rental cars and renting of a vehicle from several companies in the town, Llíria in Spain. We compare large companies as well as small and find the best price for all types of cars. We have an easy and safe online booking of rental cars. Car hire where every cost is included, no hidden fees and free cancellations/amendments up to 24 hours before you are supposed to pick up the car. Search and choose destination, search for country, city etc. and choose from the list. Rental cars at Llíria’s train stations (Circuito Ricardo Tormo) travel centre and airports like Valencia Airport and Castellón–Costa Azahar Airport. InterRent, Thrifty, Centauro, National, Keddy By Europcar, Autoclick, Budget, Hertz, Goldcar, Alamo, Rhodium, Europcar, Flizzr, Dollar, Surprice, Nomadcar, Enterprise, Hertz Dream Collection, Avis, King rent, Firefly, Sixt are the companies we compare in the city and in Valencia to find the best price. About the town Llíria (Liria), located in the Valencia part, Valencia region, Spain. 49th largest town/city when it comes to inhabitants in the region and the 410th largest town/district in Spain. With a population of 22 700 in 2015. Read more about what the town has to offer when it comes to experiences and which companies are located in Valencia and the country. The community and town is about 174 meters above sea level. Valencia (c. 814200 pop), Torrent (c. 78500 pop) and Sagunto (c. 66100 pop) are other larger communities, cities nearby. Chiva, Nules, Godella, Alginet, Utiel, La Pobla de Vallbona, Marines del llano, Torre de Baba, La Pea and L’Eliana are smaller suburbs, villages and communities nearby. La Canyada are subway (metro) stations in the city. Learn more about which companies are located in the country. A few suggestions on events, attractions, museums, activities, experiences, places and destinations in Llíria which are worth a visit during your holiday in the town. Are you planning a wine tour and tasting in Spain? Mamerto de la Vara, Arasca and Bodegas Vinival are vineyards and wine producers close by. Beautiful churches or cathedrals not far away are Parish Church of San Francisco de Asís, Church of la Sangre and Iglesia Arciprestal de la Asunción de Nuestra Señora. Notable cloisters and monasteries/nunneries are, Real Monastery of San Miguel de Llíria, which are close by. Do you need a car for a golf trip? Golf courses close to the community are Club de Golf El Bosque 20 km, Club de Golf Escorpion 12 km and Club de Golf Manises 18 km. Plaza de Villa Antigua and Plaza Mare de Deu are notable large open spaces and squares which are located in the central parts of town. Centro entulínea Llíria are cultural centres for recreation and activities located close to the town centre. Close to Llíria there are castles worth seeing such as Castillo de (Castle) betera, Castell de (Castle) Benisanó and Castillo Riba-roja de Túria. Visit the towns beautiful and old strongholds, fortresses and forts like, Castell del (Castle) Real. Keen on seeing ancient relics, older buildings, antiquities and cultural heritage? These places, Termas Romanas de (Roman Baths) Mura, could be worth a visit. Do you want to see the views? Viewpoint El Tos Pelat La Puebla de Vallbona are observation points in the central parts of town. Relaxing and beautiful green areas, parks and plantings worth seeing are Park la Bombilla and Mura Park. A day at the museums and art galleries of the city? These are located in the central parts of the city at Museu Arqueològic de Llíria. Bioparc Valencia, Karting Valencia Luis Climent and Karting La Pobla are theme parks, water parks or amusement parks nearby. If you are looking for experiences and activities for the family. Valencia Zoo are aquariums, safari parks, zoos, tropicariums, tropical houses and terrariums close to the city. Car hire in airports nearby: Rent a Car Valencia Airport and Castellón-Costa Azahar Airport. 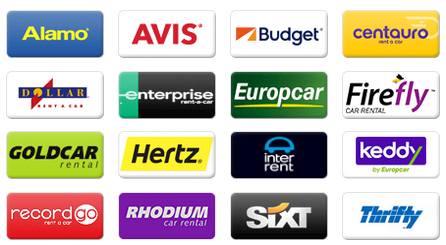 Car rental in nearby cities: Cheap Car Hire La Pobla de Vallbona, L'Eliana, Ribarroja del Turia, Bétera and Manises. Rent a car in cities in the region: Car Hire Valencia, Alicante, Elche, Castellón de la Plana and Torrevieja. To find the best price we compare following companies Avis, Hertz, Europcar, Budget, Sixt, Thrifty, National, Alamo and Enterprise in Llíria. You can usually find the largest selection at airports such as Valencia Manises Airport and Castellón-Costa Azahar Airport. The large companies usually have offices adjacent to the airport.